Online dating is the norm for single men and women these days. So why do we still feel the pressure to create a romantic “how-we-met” story to tell our friends and family? In a preview of her book HOW TO FALL IN LOVE WITH ANYONE, author Mandy Len Catron shares one of her own online dating experiences. I was thirty-two and had been single for about a year and a half when I went out with a guy named Scott. We met on OkCupid. It was just one date, but I remember it better than I remember almost any other online date. We went to a place that had all the ambiance of a dive bar: no sign on the door, a windowless room in a basement, a dark hallway that opened to a “patio” in the alley where “mice” scampered under the Dumpster. (“A lot of mice around this time of year,” our server said with studied casualness.) But, like every other restaurant in Vancouver that summer, they served perfect tiny tacos and local craft beer. I thought I was experienced at online dating, but Scott was a pro. “Hey, man, let me buy you a drink,” the guy said. Scott laughed politely and said no thanks and the other guy made his way to his seat. I liked Scott. I liked that he had gone to the trouble of making up an elaborate story and that he then confessed immediately. There was a sense of transparency that I almost never felt on dates. Too often, dating created a weird tension: We were all walking the line between cool and sincere. Everyone wanted to be funny, to be liked, even as they were still deciding whether they liked you or not. I was as guilty of this as anyone, though it was beginning to wear on me. Scott and I traded stories about our experiences with online dating—the strange or predictable patterns that had begun to emerge from the process. This phenomenon annoyed me. I made a point of not going out with anyone whose profile conveyed their willingness to make up a fake story, reasoning that they either felt deep shame about online dating (get over it already) or needed a cute, rom com–style how-we-met story for their relationship to feel legitimate. 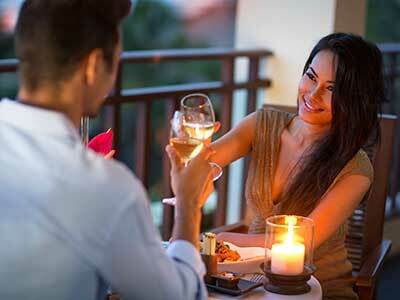 But dating websites were no longer the sole terrain of the desperate or the perverse, and anecdotal observations overwhelmingly suggest that cute stories in no way predict happy relationships. I could name several very charming first dates—like the time I sat by Mariah Carey’s pianist at a bar and my date and I pretended to be newlyweds while he gave us marriage advice—that went exactly nowhere. I hated how the emphasis on meetings seemed to take away our agency, implying that fate put in the effort so we didn’t have to. “Why is a story so important to some people that they’re willing to fabricate it?” I asked. “It’s great,” I told him. I confessed that even though I was theoretically interested in starting a relationship, I was so satisfied with my daily autonomy that I worried about actually fitting someone else in. I thought of my guiltlessly sporadic grocery shopping, the hours per week I spent at the climbing gym or writing or drinking beer on rat-infested patios. I thought about the pleasure of making last-minute plans, feeling accountable to no one but the dog. I’d have to give up or renegotiate much of what made my life so satisfying. At twenty-three, I’d been so willing to organize my days around someone else, but by thirty-two I found the idea far less appealing. It was a pretty convincing point. Neither Scott nor I followed up after that date, though I often think back on it fondly. If we had started dating more seriously, it would’ve made a great how-we-met story. 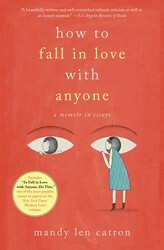 Her New York Times article “To Fall in Love with Anyone, Do This” went viral. Now you can grab a copy of Mandy Len Catron’s book How to Fall in Love with Anyone for more of her wisdom on relationships and the 36 questions she used to find love. Related: Does marriage always equal love? Or can we sometimes be happier alone? Excerpted from How to Fall in Love with Anyone by Mandy Len Catron. Copyright © 2017 by Mandy Len Catron. Used by permission of the publisher. All rights reserved.